Christopher Lee died several days ago, on June 7, in Chelsea, London, England. Christopher Lee had a very long film career stretching back to bit parts in the late 1940s. He seemed to hit his peak as a Hammer Films horror star in the late fifties and sixties, but continued in many roles up through the first decade of the 21st century, including in the huge Lord of the Rings films and the Star Wars prequels. His big non-Hammer sci-fi film in the sixties was Night of the Big Heat (67), about alien invaders. Though he was in his share of low budget clunkers to pay the bills - End of the World and Starship Invasions (1977) as examples, he was also in some cult classics like The Wicker Man (73), a subtle horror film highly regarded today. My personal favorite - Horror Express in 1972; Lee was entertaining as an arrogant scientist facing an alien monster on a train. 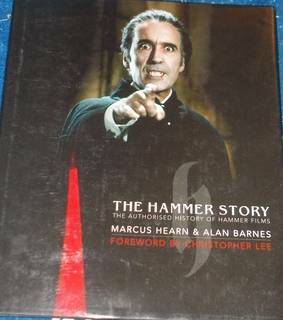 As one can see in the picture, he starred with good friend Peter Cushing, the other Hammer Films star, though this was not a Hammer film. At that time, Cushing was grieving over the death of his wife and planned to quit the film; Lee convinced Cushing to stay on by reminiscing with him. 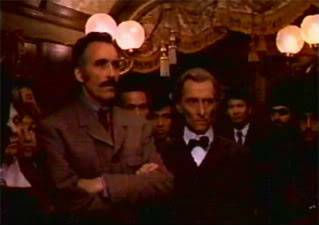 Cushing passed away in 1994. Lee was in more films with Charlton Heston than most actors who co-starred with Heston - in Julius Caesar (1970), the Musketeers films in 1973 & 1974, and the TV film Treasure Island (1990). He was also in the disaster film Airport '77 - the one without Heston. R.I.P. 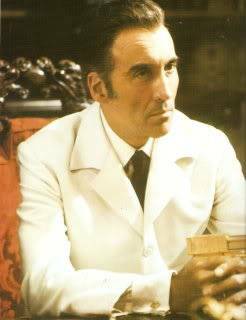 Christopher Lee, the second most famous Dracula of the 20th century — an impressive feat — and a memorably irrepressible villain in James Bond film “The Man With the Golden Gun,” in the “Star Wars” films and in “The Lord of the Rings” pics, died Sunday in London after suffering heart failure and respiratory problems. He was 93. Lee appeared in 10 films as Count Dracula (nine if his uncredited role in the comedy “One More Time” is excluded). His first role for famed British horror factory Hammer Films was not the Transylvanian vampire, however, but Frankenstein’s Monster in 1957’s “The Curse of Frankenstein.” His close friend Peter Cushing, with whom he would co-star in horror films frequently, starred as the Baron. Lee made his first appearance as the sharp-toothed Count in 1958’s “Horror of Dracula.” For reasons not quite certain, he skipped the 1960 sequel “Brides of Dracula,” but he returned to the role for 1965’s “Dracula: Prince of Darkness” — a movie in which he hissed a lot but had no dialogue, because the dialogue was so bad, Lee later claimed. Lee made horror films for Hammer that were not vampire-centered. He was the title character in 1959’s “The Mummy” and 1966’s “Rasputin, the Mad Monk.” He also brought Dennis Wheatley, an acclaimed author of occult thrillers, to Hammer, where two adaptations were produced, both starring Lee: “The Devil Rides Out” (1967) and “To the Devil a Daughter” (1976). The first is considered among Hammer’s best work. The second, although financially successful, was something of a disaster, with the author disowning the film, which was the studio’s last horror pic. He also appeared in a number of non-Hammer horror films, including the “Fu Manchu” series of the late 1960s; “Dr. Jekyll and Mr. Hyde” adaptation “I, Monster” (1970); “The Creeping Flesh,” with Cushing; and Lee’s favorite thriller effort, “The Wicker Man,” in which he played Lord Summerisle. After 1977’s wretched “Meatcleaver Massacre,” for which, Lee claimed, the filmmakers had slapped on voiceover narration the actor had recorded for an entirely different movie, he largely steered clear of horror films, though Lee did appear, along with Cushing and Vincent Price, in 1983’s “House of the Long Shadows,” an American-produced horror comedy that in many ways brought the era of British horror pics to an end. 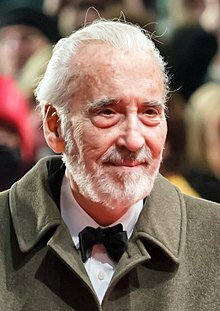 Christopher Frank Carandini Lee was born in Belgravia, Westminster, England, the son of a career military man and his wife, a famous beauty and contessa who was part Italian. They separated when Lee and his sister were still young, and their mother took the children to live in Switzerland. Lee volunteered to serve with Finnish forces against the Soviet Union in 1939 and then served with the RAF and British intelligence during WWII. After the war, Lee secured a seven-year contract with the Rank Organization. His film debut came in Terence Young’s 1947 Gothic romance “Corridor of Mirrors”; the same year he had a brief uncredited role in Laurence Olivier’s film adaptation of “Hamlet.” Lee appeared in nearly 30 films, mostly forgettable adventure pics, over the next decade, although he did have an uncredited role in John Huston’s “Moulin Rouge” (1952) playing the painter Georges Seurat. The prolific actor — IMDb lists 281 credits — appeared in many films outside the horror genre even during his Hammer years. Even outside the horror genre, however, Lee’s characters were rarely virtuous, even if it was all too easy to root for them. Lee did some American TV work, appearing in the miniseries “How the West Was Won” and Harold Robbins adaptation “The Pirate,” but largely appeared in adventure films. He showed a comedic side as guest host on “Saturday Night Live” in 1978 and in Steven Spielberg’s “1941,” in which he played a German officer. Burton presented a BAFTA Fellowship, a life achievement award, to Lee at the 2011 BAFTA ceremonies. Lee was knighted in 2009 and received a BFI Fellowship as well. There was no reason to suspect, in short, that Lee would have his profile raised substantially during the 2000s, in his 80s. Lee was, however, the only actor to make substantial appearances in both the “Lord of the Rings” and “Stars Wars” film franchises. 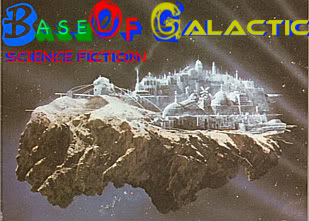 In the trilogy based on J.R.R. Tolkien’s books (Lee’s appearance in the third film was cut from the theatrical version but restored for DVD), he played the duplicitous and ultimately villainous wizard Saruman; he repeated the role in the three “Hobbit” movies. In the “Star Wars” pics “Episode II — Attack of the Clones” and “Episode III — Revenge of the Sith,” he played Count Dooku (the name chosen almost certainly in tribute to Lee’s most famous character), who becomes the evil Darth Tyranus. The highlight of Lee’s appearance in the “Star Wars” films was the six-foot-five actor’s lightsaber duel with a fully digitized and diminutive Yoda. In the 2009 film “Triage,” Lee had an interesting and effective supporting turn as a Spanish psychiatrist with a dark past who helps a war photographer, played by Colin Farrell, suffering from survivor’s guilt. Lee’s autobiography “Tall, Dark and Gruesome” was published in 1977 and republished in 1999; a revised and expanded edition called “Lord of Misrule” was issued in 2004. Lee was a step-cousin of Ian Fleming. He is survived by wife, Birgit “Gitte” Kroencke Lee, whom he married in 1961; a daughter; and a niece, British actress Harriet Walter.